One of my bug bears is the limitation of fonts on my iPad. 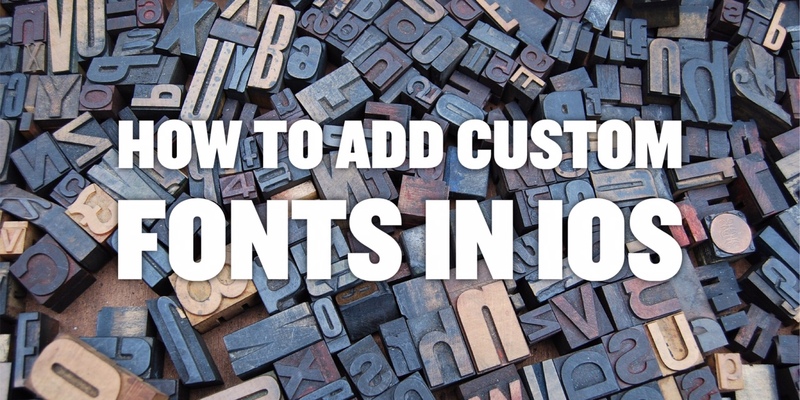 I mentioned in my post yesterday about wall displays that using fonts to add to your repertoire of title fonts for your displays can really make them sing. My favourite site for finding fonts is ‘Da Font and there are lots there that are freely available such as these top downloads here. Having consistent fonts across your devices is really important when it comes to your workflow (and sanity) when working across multiple devices. 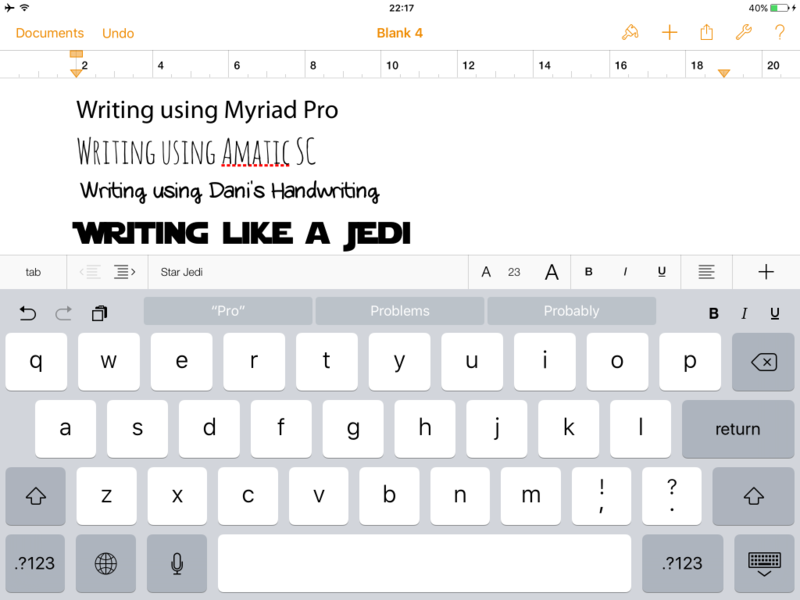 There are a number of different ways you can add fonts to your iPad. The first one is pretty technical which involves creating a configuration profile using a Mac which embeds the fonts within it. You then add the configuration profile to your iPad and #boom – the fonts are on your iPad. There are even more technical ways by using a script (download here) using Python in Pythonista (£4.99), but for most people, both of these methods are time consuming and outside of the technical reaches of your average classroom teacher. Fortunately, there’s an App for that, called ‘AnyFont‘ which does the job for you. It will set you back £1.49 but I think it’s worth it to be able to use the fonts (.ttf – TrueType fonts and .otf OpenType fonts) in most Apps on your iPad. I won’t run through the process of how you add fonts using the AnyFont app as the guide that you get when you download the App is very clear about how you do it. What I particularly like about this is that it means that I can work on my documents on one device (in my case more often than not, my MacBook Pro) but when I want to work on it on my iPad, everything still works the same as I keep the same fonts on my iPad as I use on my Mac. Pretty cool huh? If you’re not sure how to add fonts to Windows or Mac, I’ll be writing about how you do that real soon. I hope you found this useful. If you did so, please let me know in the comments. If you like this sort of thing and would like to learn more then I am available to work with you too. Please just visit here for more details .